Fostering allows animals who be euthanized in shelters to have a second chance. Generally people like myself, who foster, do it through a single or multiple rescue organizations. The rescue organization pulls a dog at a reduced rate from the shelter and needs a home to care for the fuzzie until they can get him/her adopted. Many times the dogs pulled have a medical or personality issues that need to be dealt with prior to final adoption. Some shelters won’t release a dog to rescue unless there is a reason like this that the dog might not be able to be adopted otherwise. 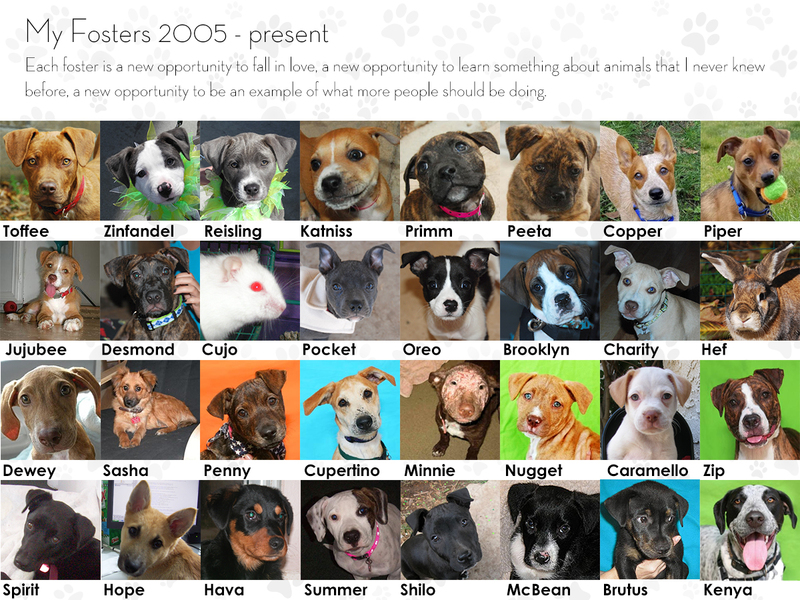 I began fostering through Help4Pets in December 2004 and Underdog Rescue in June 2005. I founded and fostered for Pit Bull Rescue San Diego until 2015, when I moved to Washington. I currently foster for Homeward Pet in Woodinville, WA. It has been extremely rewarding. I hope that I can be an inspiration that one person can make a difference.